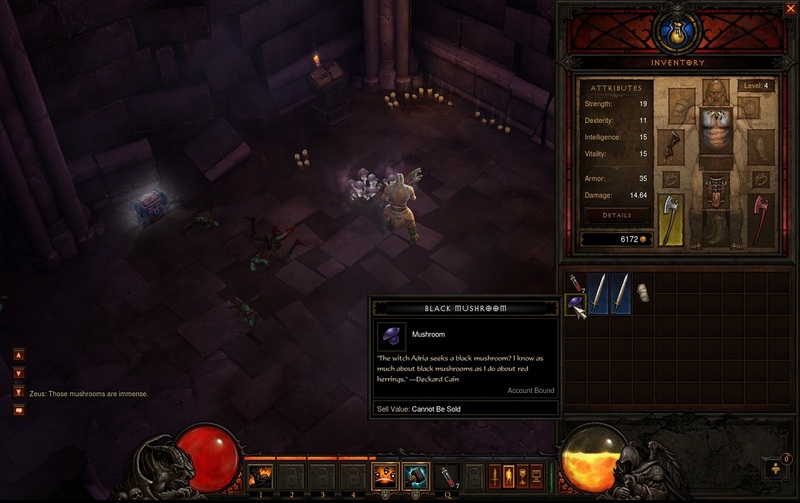 Those of you who played Diablo 3 beta may have found the item called Black Mushroom. It can be found around Adria's Hut or in the Cathedral Level 1 area, but is totally a rare event I believe. But what is this Black Mushroom item and what can you do with it? I personally did not find any use for it and as I searched on the forums I learned that most people think this is an Easter Egg in Diablo 3, as a reference to a Diablo 1 quest given to the player by the NPC called Adria, who is actually Leah's mother. 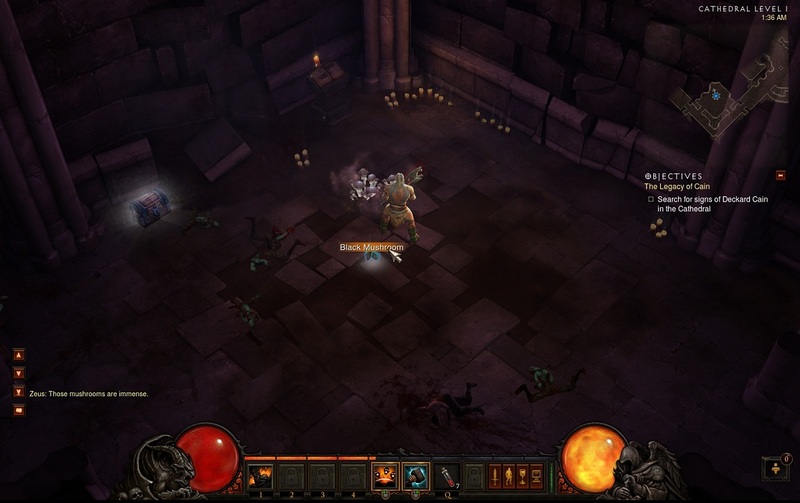 We will find out if the Black Mushroom is from Diablo 3 only an Easter Egg once the game launches on May 15th. Even if this information is correct, I love how Blizzard inserted these Easter Eggs through the game, they are very appealing to the players that loved the first two games. If you find any other use for the Black Mushroom in Diablo 3, please share it with us in the comment section. Update: Used to craft the Staff of Herding needed to enter the Secret Pony level.